Actor Al Pacino is shown portraying Joe Paterno in a trailer for HBO's forthcoming film on the longtime Penn State football coach. HBO has revealed a premiere date and a full preview of its upcoming film on Joe Paterno and the sexual abuse scandal that has brought his legacy into question. 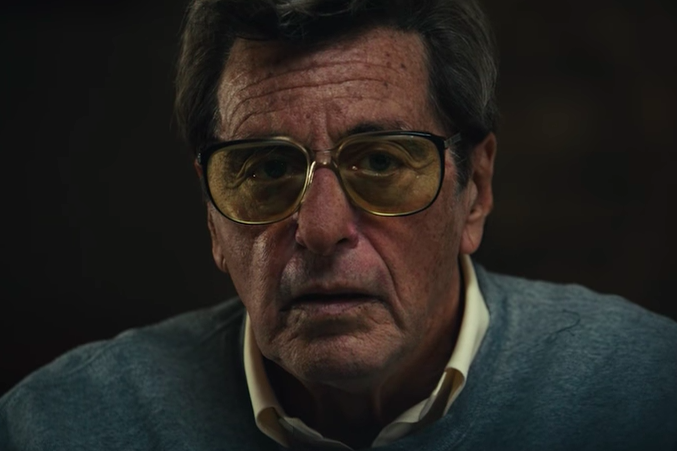 The network announced on Friday that it will premiere "Paterno," which stars Emmy and Academy Award winner Al Pacino and is directed by Barry Levinson, on April 7. The biopic centers on Paterno, the legendary Penn State football coach and College Football Hall of Famer who in October 2011 became the winningest coach in NCAA Division I football history. But the Jerry Sandusky scandal, in which the longtime defensive coordinator under Paterno was arrested and charged with 40 criminal counts surrounding child sexual abuse, came just days after Paterno notched his record-breaking 409th win. The scandal marred the legacy of Paterno, who died in March 2012. The trailer starts by showing Pacino as Paterno thinking back on victory No. 409 when one of his sons asks, "Dad, did you know about Jerry?" It also shows a dramatized scene of Paterno declining to resign before being fired several days after Sandusky's arrest, as well as thousands of Penn State students rioting in the aftermath of the university's decision. It ends on a cryptic note, with Paterno's wife (played by Kathy Backer) reminding him that Sandusky once "went in the pool with the kids." "You couldn't have known. Otherwise, you wouldn't have let them go in the pool, right?" she asks before the video concludes. The trailer also indicates that former Harrisburg Patriot-News reporter Sara Ganim's Pulitzer Prize-winning coverage of the scandal will be a major piece of the film. Ganim will be played by Riley Keough.